Do 32,000 Men Really Need to Die Each Year From Prostate Cancer? Last summer’s Tour de USA® for Prostate Cancer Awareness is now the Prostate Cancer Pony Express™. 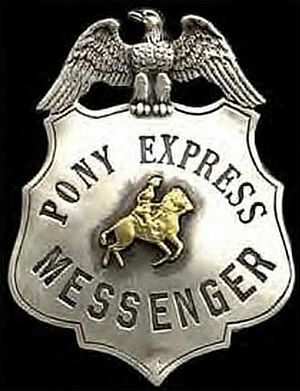 Visit the 2011 Prostate Cancer Pony Express website for information. September 18th, 2011 is the inaugural year of the prostate cancer equivalent of Rolling Thunder, and will pay homage to the 1.2 million men who have died from prostate cancer since President Richard M. Nixon declared the “War on Cancer” in 1971. Will you ride with me on September 18th? Business Owner | Business Advisor | Cancer survivor, Class of 2003 | Founder and President of the Cancer Journeys Foundation | Founder of the Tour de USA®️ to End Cancer | Founder and CEO of The Success Foundry | Best Selling Author | Speaker | Senior Fellow @ the Center for the Digital Future USC Annenberg School |Business Coach Founder, CEO of TSG Inc | Founder and Partner of InterSpaceLA | Thought Partner | Founder of Pony Express Riders | Autocrosser | Motorcycle Rider | Bicycle Racer | USA Cycling Coach | Retired career Army officer | Prostate Cancer Advocate | Find me at LinkedIn.com/in/robertwarrenhess. This entry was posted in adventure motorcycling and tagged good will car donation california, good will car donation virginia, Prostate Cancer, Prostate Cancer Pony Express, prostate cancer survivor, Rolling Thunder. Bookmark the permalink. I am a prostate cancer survivor, Class of 2003, retired Army officer, business owner, Senior Fellow at the Center for the Digital Future, Annenberg School, USC, USA Cycling coach, amateur competitive cyclist, Harley Davidson enthusiast, and writer.